De Herbicide Advies-app geeft een optimaal advies over de inzet vanbodemherbiciden in de teelt van aardappelen. Het advies wordtgegeven nadat grondsoort, teeltdoel en onkruiden zijn ingevoerd. Inhet advies worden alle in Nederland toegelaten bodemherbicidenmeegenomen. Voor de “Belchim” middelen wordt ook een adviesdoseringgegeven. Voor de andere middelen wordt een doseringsrangeaangegeven. De App geeft dus aanvullende informatie voor watbetreft het werkingsspectrum van bodemherbiciden (o.a. Proman). Deapp vervangt niet onze gebruiksadviezen. Belchim kan dan ook nietaansprakelijk worden gesteld voor gebruik vangewasbeschermingsmiddelen op basis van de Herbicide Advies-app.TheHerbicide Advisory app gives the best advice on the use of soilherbicides in the cultivation of potatoes. The opinion given aftersoil, cultivation target and weeds are introduced. The opinionshall include all soil herbicides registered in the Netherlands.For the "Belchim 'resources is also given a dose recommendation.For other means indicated a dose range. The app then providesadditional information regarding the spectrum soil herbicides (egProman). The app does not replace our use advice. 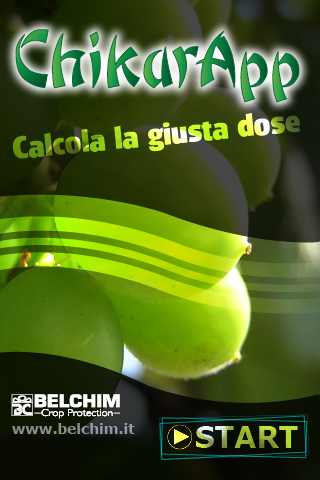 Belchim cantherefore not be held liable for use of plant protection productsbased on the Herbicide Advisory app. Diseases and Disorders of Potatoes – Belchim Crop Protection Ltd.Foliar and tuber symptoms are described for diseases (fungal,bacterial and viral), pests and abiotic disorders. Each sectionfeatures photographs, a description of symptoms and information oninfection and spread. Any diseases or disorders with similarsymptoms are listed to aid an accurate diagnosis. 365 Gratitude is the #1 app for cultivating a grateful mindset. 365Gratitude is not just your average journal! We’re a science-basedapp that will motivate you to cultivate a grateful mindset in just5 minutes a day. It is perfect for people who want to start ajournal but are not sure where to start. Our daily prompts guidesyou with simple practices, such as gratitude letter and reflectingon the good we have received. Our community connects you with likeminded people. It’s not just a journal, its a game, a socialnetwork, a mood tracker and much much more. By downloading thisapp, you’ll receive: ✓ Daily inspirational questions: Our engagingprompts help you dig deep and uncover new areas of appreciation inyour life. ✓ Supportive community: Join our global community toshare what you are thankful for. Inspire and support others ontheir journey. ✓ Gratitude Game: Unlock medallions and rewards asyou make progress on your journey. ✓ Mood tracking: Learn aboutyourself through statistics about your moods on monthly and yearlycharts. ✓ Gratitude jar: Store your precious memories in yourgratitude jar. Watch your happiness soar as you fill it up. ✓Self-assessment: There’s also a handy set of assessment tools tohelp you grow in joy and happiness. ✓ Google Drive Backup: Designedto keep your journal last forever, we give you full control of yourprivate diary with Google Drive sync. ✓ Private diary with PIN:Keep a secret diary with a PIN-enabled passcode to protect yourmemories. Some content is only available through an optional paidsubscription. Gratitude is the simple, scientifically proven way toincrease happiness and encourage greater joy, love, peace, andoptimism into our lives. In just five minutes a day, you can changethe way you think about yourself and the world with thepowerful-yet-simple practice of gratitude. Change your attitude –and change your life! – with 365 Gratitude. If you find a bug on your android / phone version, please email me([email protected]) with a description and the model of phoneyou are using and I'll fix ASAP. Bliss increases happiness,motivation and effectiveness with scientifically proven techniquesfrom top researchers. Psychologists have developed a collection ofexercises, or "interventions," which have been proven to increasehappiness and other desirable mental traits. Bliss packages theseexercises up for you in one application so that you can easilyincorporate them into your life and reap all the benefits fromdecades of psychological research. Exercises are scheduled forcompletion on a recurring schedule — allowing you to build thehabit of positive mental transformation. Bliss works like a dailydiary or gratitude journal that allows you to record thoughts andmeditation on the previous day. Each journal entry helps youincrease mindfulness, find inspiration, and build self-confidence.Bliss goes beyond self-help and self-improvement to offer writingexercises that have been proven to work in rigorous scientificstudies. As you continue writing notes in your gratitude journaland completing the other exercises you begin to change your outlookto focus on the positive, get more enjoyment from life, and becomemore effective at everything you do. Why use Bliss? *BecomeHappier* - Bliss rewires your brain for positivity. Over time, asyou continue to complete your daily exercises, your mental outlookbecomes more positive, you enjoy life more, you find more meaningand satisfaction in your work, you strengthen your relationshipsand you come closer to being the best possible version of yourself. *Become more successful* - In The Happiness Advantage, positivepsychologist Shawn Anchor details the research showing the crucialrole that happiness plays in all aspects of success. Happier brainsare more creative, resilient, and even more alert. Where a negativebrain sees problems, a happier brain sees possibilities. Newavenues to success open up and you find creative solutions to helpyou reach your goals faster than you ever dreamed possible. *Becomea better parent, spouse, or friend* - Happiness is contagious. Whenyou rewire your brain for positivity and meaning, everyone youencounter benefits. You find yourself reacting more kindly andpatiently and learn to help the people you care about most livehappier, more fulfilling lives. *Become more charismatic* - Happierpeople are viewed as being more likeable, more trustworthy, andmore attractive. As you increase your confidence, self-image, andpersonal power, people are drawn to you. You develop theinfectious, optimistic outlook of a leader who always finds a wayto lead the group to victory, even in the most dire conditions. *Find more meaning in your work* - Happiness is not just about"looking on the bright side." It's also about identifying what'simportant to you and figuring out ways to increase those aspects ofyour life. When you clarify your values, your life is driven withmeaning and purpose. Gratitude is a simple and intuitive application where you can thankfor all the good things that happen to you. In addition, practicingGratitude brings scientifically proven benefits, reducing levels ofstress and depression. Being grateful also helps people achievepersonal goals and feel more loved. Writeaday is a journal you carry around with you at all times. It'sbuilt for the way we move around the day. When you first wake upeach morning, you set a daily intention in the menu. Throughout theday you tap on the + button to easily create a new entry. Captureany quick thought as it comes. At the end of each day you can markyour mood. Go to sleep, rise, and repeat ☀️ ⏱ Free Forever Free. Noads. No limits on the number of entries. Only pay for advancedfeatures and customizations. 🙌 Create Habits Developing journalingas a habit takes work. Writeaday makes that simpler by motivatingyou with a color gradient that grows, the more you write. ⭐️Features • Fundamentally unique way to write quickly during theday. • Organize journal entries using #tags ('#' before any wordyou write). • View your entries in an organized widget • Backup toyour own personal Google Drive • Revisit your past with TimeMachine - shows you an entry from the past. • Achieve more withDaily Intention - set one single goal each day, and do it well. •Day, Night, and more Color Themes • Notebook with a lock (pincodeor fingerprint) 🏆 Mentions • Accepted into FbStart - Global Programby Facebook to fund startups growth • Top 10 Android Apps ofFebruary 2017 (by PhoneDog) Always happy to hear feedback [email protected] 🗣 My Story I built writeaday because Iwanted to quickly jot down notes in a journal throughout the day. Ididn't want to spend 30 minutes at the end of the day to keep adiary of how my day went. I also wanted a journal that motivated meto keep writing. I had tried to keep a journal in the past andnever went more than a month. Each day is assigned 1 color of therainbow so that if you write for a full week you get a completeweekly rainbow. Use writeaday for 1 full week to get the fulleffect of this concept of "keeping a streak" converted into avisual form as a color gradient. Reflect on your timeline ofentries - your personal writing about your experiences, anythingyou need to vent about, or any gratitude that you want to express.This is your own personal scrapbook of feelings, whether you need ajournal because you want to remember your past. Or because yousuffer from depression and you need a diary for a therapeutic wayto vent feelings. writeaday is on Patreon! (http://bit.ly/writeaday-patreon) Support us and follow ourprogress on Patreon. More content and prizes to be posted! Have you ever thought how you have spent another day? Have you donesomething useful, carried out what was planned, or have you justthrew it all away? Maybe you just waste your time by constantlyputting off the important things. Puncher will help you figure itout. Puncher is a diary that lets you record and evaluate your ownlife. With it, you can visually evaluate and understand how yourdays are passing and how you are using your time. All you need todo is give yourself a mark at the end of each day. Are yousatisfied with how you have spent the day? Green - You aresatisfied with yourself. You have done everything you wanted, livedlike you wanted. Yellow - You haven’t made some affair, everythingwas not quite the way you wanted. Red - You are not happy,everything was not as you wanted. You can also add comments orattach a photo to illustrate this day.Those who use this calendarhave noticed a significant difference in their perception of theworld in two months. People have noticed: change in theirlifestyle; life rhythm established; changing of quality of lifeitself; a positive change in life priorities. Once you make friendswith this calendar, you won’t be wasting your time in vain. ⭐️ "A novel tool that reminds you to stop and appreciate life" -Android™ Police⭐️ "An app that reminds you of the good things inlife" - Android™ Authority⭐️ "A delightfully Material new app forreminding you what you’re grateful for" - 9to5Google⭐️ "... the apphas been designed and built wonderfully and it is well worth thedownload." - XDA-DevelopersGratus is a simple app to promote goodvibes and positivity.It offers a simple interface to encourage towrite about the things we're most grateful for.The feeling of beinggrateful is often associated with happiness and good mental health.Quoting Dr. Robert Emmons, professor of Psychology at theUniversity of California "There are many things in our lives, bothlarge and small, that we might be grateful about".Gratus will helpyou remember about these things and make you smile every timeyou're reminded of them - you'll feel motivated and energizedthrough out your days - it's really that magical.This app supportsnative backup & restore through Google™ Drive. Never lose yournotes and sync them between devices.Gratus is dedicated to mysister and my girlfriend, for whom I'm very grateful.